The DBK9TRK provides an easy to install, bolt on solution for upgrading your Pre-1987 Ford 9” rear-end light truck to disc brake performance. Many consumers may be unsure of which size 9” rear-end their vehicle has. MBM’s kit is unique in that it provides all the brackets and flanges that fit the three most popular sizes of the 9” rear end (3-3/8” x 2”, 3-1/2”x 2-3/8”, 3-9/16” x 2”). Top that off with 5 on 5 1/2 bolt pattern rotors and you eliminate much of the customer guess-work when purchasing and installing the kit. The DBK9 comes in both standard and high performance models. 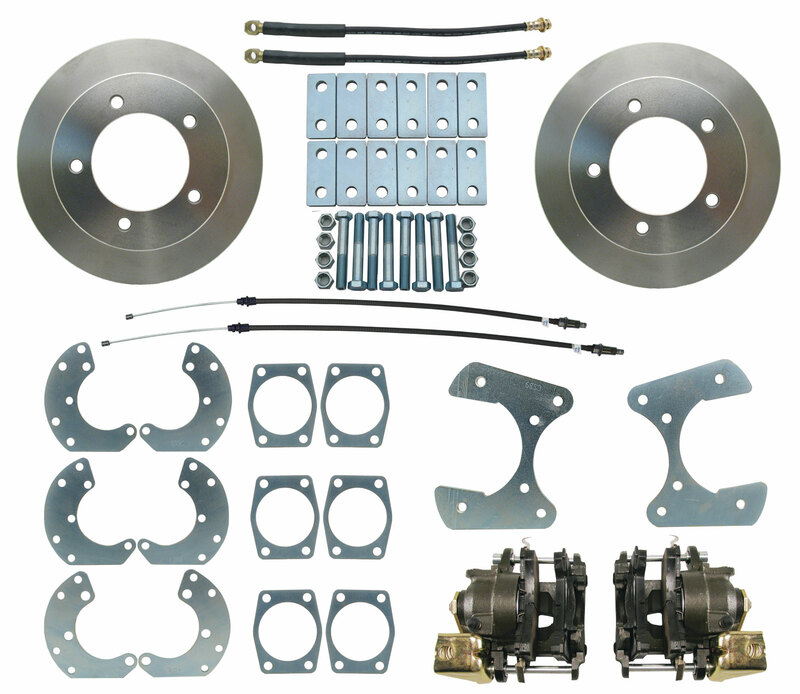 The high performance LX kits upgrade to cross-drilled and slotted rotors and stainless steel braided brake lines.